Below is a photo of a 2000 lb. manta ray (Manta birostris) that was caught off the jetties in Galveston sometime in the early 1900's. This brute was caught by a 75-year old man. I can only imagine the fight he had on his hands prior to landing this fish. Big rays like this were once commonly referred to as devil fish or sea devils and can reach widths of more than 20 feet. 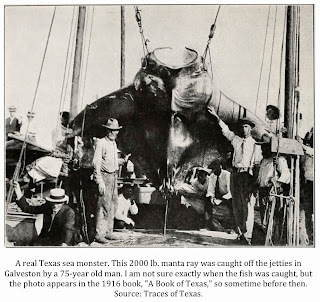 It is likely a safe assumption that some sea monster reports from years past were actually sightings of huge manta rays. Below is the latest version of my black panther distribution map. The map now includes the latest reported sightings deemed credible and discussed in my post on the subject dated 8/8/14. Understand, this map is not meant to be exact. I am bound by the amount of detail given to me about sighting locations by witnesses. If you are looking for GPS coordinates to get you within 20 yards of a sighting location then this map is not going to do it for you. It isn’t meant to. My intentions in mapping the sighting locations was to get a broad sense of where these cats were being spotted and hope to pick up on some “big picture” type of pattern. The overall locations are as accurate as they can possibly be on a map to this scale. I do think that some patterns are starting to make themselves clear as the sample size increases. It has become obvious that if you live in north Texas, the area north and northwest of Dallas is the place to go looking for a large, black, long-tailed cat. In particular, the area surrounding Lake Lewisville is a real hot spot. The sightings are coming in from this area so quickly that I’m running out of room on the map. 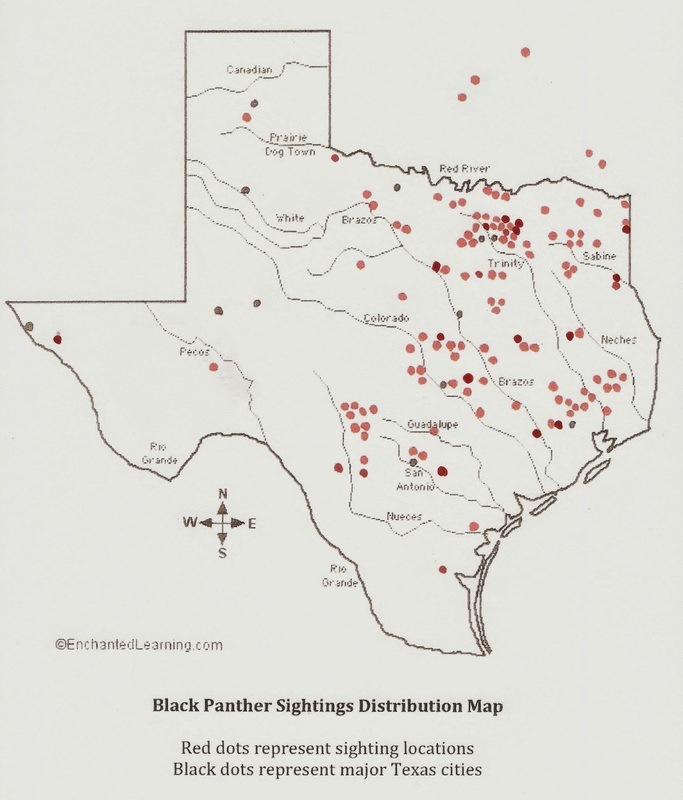 Other areas that are emerging as black panther hot spots are southeast Texas between the Brazos and Neches Rivers, the Brazos Valley of central Texas and the southwest edge of the Texas Hill Country just west and northwest of San Antonio. A good rule of thumb as to where to look for these cats still seems to be the headwaters of major rivers or areas where major rivers converge and flow in close proximity to one another. I hope to take this project up a notch and really zero in on sighting locations. I will still keep up with this distribution map but will also be creating maps of regions of the state. This will allow me to zoom in and provide a more accurate picture of exact sighting locations. I’ve been doing this on my own using an old Texas map and some pins. I feel like there is enough interest in this phenomenon to make it available to readers of the blog. 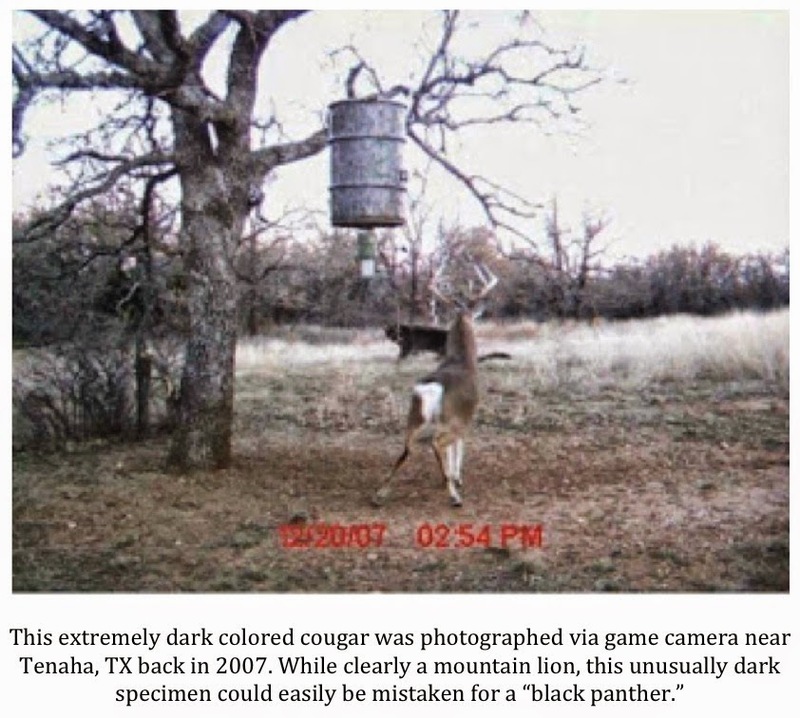 It has been a while since I provided an update on black panther sightings in the state of Texas. Make no mistake, however, those reports keep coming in to the site. They show no sign of slowing up and, in fact, may be coming in faster than ever as more people find the blog and realize there is someone out there interested in hearing their encounter stories. If you like these reports you are in for a real treat as this post is going to be lengthy. Time slipped away on me and I have not done a very good job of keeping you all up to date on the sightings and they have stacked up. Before we begin, let me repeat a few things that I have said before. I know that there is no such animal as a “black panther.” The known big cats that have been given this moniker are either African leopards or New World jaguars exhibiting melanism. So, when I use the term “black panther” realize it is a colloquialism, a catchall phrase, if you will, that is commonly used in Texas and the Deep South to describe any large, black or very dark, long-tailed cat. Now that we have that taken care of, below are the latest and most credible sighting reports to come in over the last few months. Just to add something a bit different, I have included a few reports of which I am very skeptical or believe to be an outright attempt to hoax me. The questionable sightings will not be included on my updated black panther distribution map. I include them in order to show you, the reader, some of the processes I go through and some of the questions I ask myself when trying to decide if a report is credible. I say “ask myself” because most reports come to me in the form of comments to previous posts on this topic with the commenter remaining anonymous. This makes follow up questions to the commenter difficult to impossible. It is possible that some sighting reports I have deemed as credible are the work of hoaxers but I have diligently attempted to weed out those that seem questionable and printed only those that seem reasonable. Now, on to the reports. The original reports are in italics and are followed by my comments. TCH Comment: Taylor, Texas is located about 30 miles northeast of Austin in Williamson County. Though the sprawl of Austin is beginning to reach this area, there are still a lot of open and rural spaces for a big cat to roam. The account Shawn describes is typical of many reports, a simple road crossing. The long tail eliminates a bobcat in this case and the black color would seem to eliminate a cougar. What does that leave? TCH Comment: Granbury is 35 miles southwest of Fort Worth. It remains comparatively small with less than 8,000 residents as of the 2010 census. The surrounding area is decidedly rural with agriculture being the dominant industry. 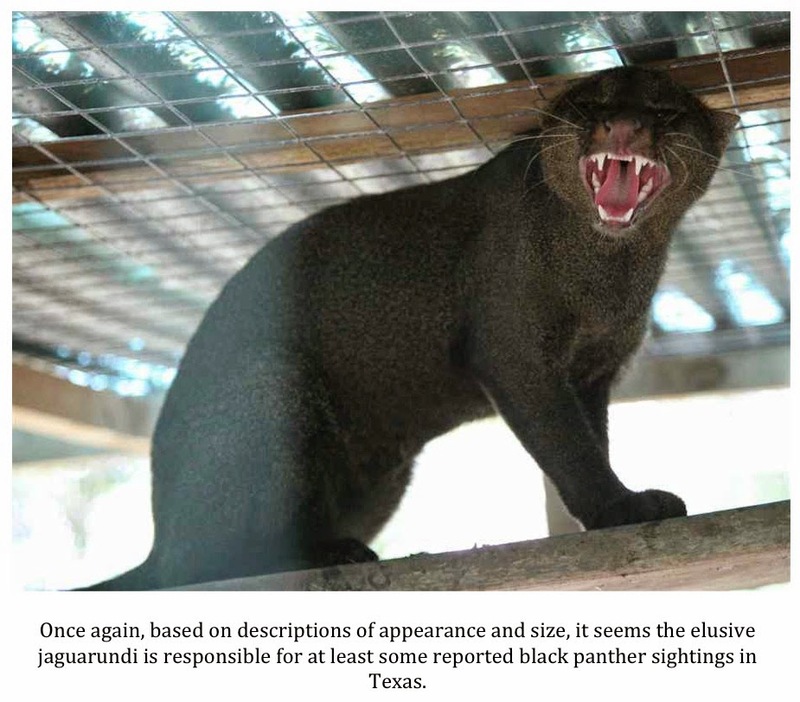 Though this report is very short on detail (an understatement), I include it as the area near and around Fort Worth have a long history of big cat and black panther reports. In addition, there is just a “here’s what I saw, take it or leave it” quality to the report that, as a native Texan, I recognize and understand. TCH Comment: Kosciusko is a rural community that sits at the intersection of Farm Roads 541 and 1347 in Wilson County roughly 50 miles southeast of San Antonio. As of the 1965 census, the population was only 50 souls. I do not know how much, if any, Kosciusko has grown since then but can tell you the area remains sparsely populated. This area is far enough south that the idea of a wayward jaguar making it there is not that far-fetched. The witness’s estimate of a 100 lb. animal would seem to eliminate any cat other than a jaguar or mountain lion. 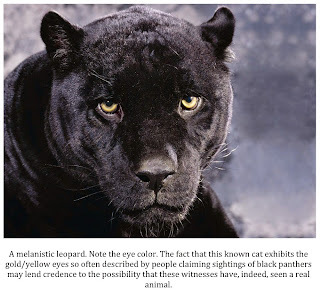 The yellow eye shine reported is something I have heard many times from people claiming to have seen a black panther. “I live in Fort Bend County near Katy close by West Park & Hwy 99. We have a large open field/wet land by our neighborhood. Me and my 2 young daughters were riding our bikes on the trails. We spotted a large cat like creature about 80 to 100 yards in front of us. It was all grey about 2 1/2' tall and about 3 1/2' to 4' long. The ears were small but stood straight up. I was unable to make out the tail. I looked up a few pics on wild cats native to southeast Texas and found a pic of a jaguarundi. It looked exactly like this from the distance we were at. TCH Comment: The description Jake gives certainly fits the jaguarundi mold and the fact that what he claims to have seen is a dead ringer for jaguarundi he saw in a photograph seems to make this one fairly open and shut. While it is possible that Jake saw an unusually large feral cat, the head and ears of a jaguarundi are quite distinctive. The fact that Jake immediately focused on these distinct characteristics leads me to think that he likely did see a jaguarundi. This would be news as these small wild cats are not supposed to live too far north of the Rio Grande River. The marshes and bayous of southeast Texas would be very suitable habitat for these small enigmatic cats. “Believe it or don’t, it happened, and I have never been able to explain it away. I was 10 years old and walking my german shepherd dog through my elementary school on a Saturday, broad daylight. We rounded a corner and there was a gigantic black feline. I have owned cats all of my life and know a normal cat when I see one, and this was not. These days, I label it a cryptid. It was crouched with its bottom in the air staring right into my eyes. It was enormously muscled, a short manx cat tail. 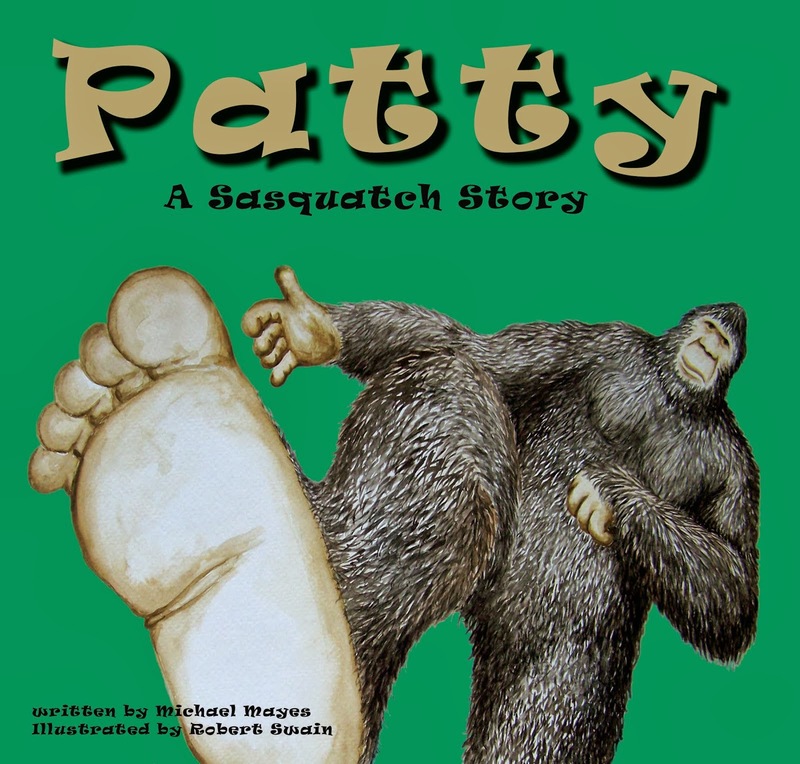 It had gigantic hind quarters, standing taller than its front legs. Its short pitch black fur gleamed with health. Its eyes were the size of saucers, round, golden and calm. I, who know cats quite well, would call it an amused stare. Not a stare I had seen before or ever since. It did not show any aggression or menacing body language. Just crouched there and laughed at us(?) with its eyes. It did not seem to be quite as long or tall as my dog Nikki (remember it was crouching), but I believe it weighed every bit as much as Nikki in sheer muscle. After a few transfixed seconds, Nikki proved himself a sensible fellow and quite silently and methodically turned around and walked away, and I followed him without thinking. We walked steadily back up the hill, out of the school, and up my block. When we were halfway up my block, (my street ended at the school so it was across a small street and 4 houses up), I turned around and saw that the giant cat had followed us to the end of the schoolyard and stood crouched in that same position (rear end up) on the rock wall, watching us with its great round golden eyes. I never saw it move, but I know it must have been loping behind us the whole way home – and I know it could have easily caught us. Also, I know that Nikki must have heard and smelled it following, even if I did not, but he never gave a sign. I think maybe Nikki saved at least his life, if not mine, by remaining so calm and I just followed him. That cat could have taken both of us. TCH Comment: Wow, what an interesting account. There is all kinds of stuff going on in this report. El Paso is about as far west as you can go and still be in Texas. Far west Texas has a breeding population of mountain lions and sightings in the area are not uncommon. A jet black cat, though, is something else. One of the first things to catch my eye and give me pause was the description of the tail as “a short manx cat tail.” I had never heard this term and looked it up. Turns out that the Manx cat is a breed of domestic cat with a naturally occurring mutation that shortens the tail. Some Manx cats have a stub of a tail but most are completely tailless. After researching this, I naturally thought this lady saw a large bobcat. Though rare, bobcats can and do exhibit melanism on occasion as documented here. 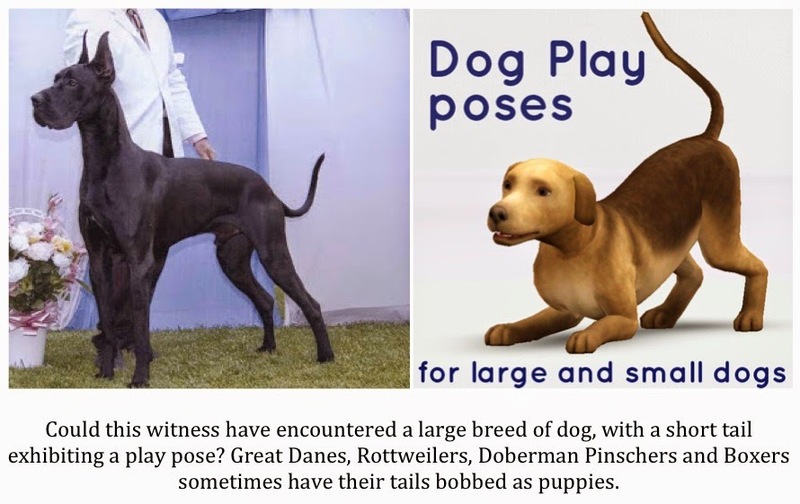 The size reported is a problem, however, as the witness described it as being an equal in muscle and weight to her German shepherd. There simply are no bobcats that large. The description of large golden eyes does not ring any alarm bells for me. 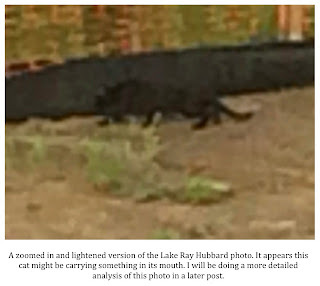 Many witnesses claiming to have had encounters with large black cats claim the animal had yellowish eyes. The next thing that bothered me was the posture the cat took and the lack of reaction on the part of the witness’s German shepherd. The rear end up, front end down pose is the classic posture a dog exhibits when it wants to play. The fact the animal made no sound and exhibited no aggression, tends to make me think it was used to people. The fact that it followed the witness and her shepherd before assuming the same rear up pose, again, is classic canine behavior. I really think it is possible that this lady saw some sort of large breed of dog with which she was unfamiliar. Many large breeds have their tails bobbed and ears clipped, giving the ears a more triangular/pointed look and more upright position on the head. I do not think this witness is lying but do feel it is possible she is mistaken. I did a post several years back about large breeds of dogs, black in color that might be candidates for some black cat sightings. I know she insists what she witnesses was no overgrown domestic, a mountain lion, a bobcat, or lynx and that she has never been able to find a photo anywhere of the animal she saw that day. If she is right, and this was a cat of some kind, I cannot imagine what it might have been. The only possibility that comes to mind is a melanistic jaguar that lost its tail in some kind of accident. Even that explanation does not hold much water for me as I just do not see a German shepherd not reacting aggressively to a big predator. I simply do not know what to make of it so will leave this sighting off my updated black panther distribution map. TCH Comment: Sierra Blanca sits in the Trans-Pecos region of the Lone Star State in Hudspeth County. This is an area of the state that is recognized by the Texas Parks & Wildlife Department as having a breeding mountain lion population. That being the case, a mountain lion in the area is not out of place. In addition, an unusually dark colored cougar was shot there in 2011. You can read about that here. Certainly the charcoal-colored lion killed in 2011 is not the classic “shiny black” often described by witnesses but, depending on light conditions, a cougar that color could appear black. 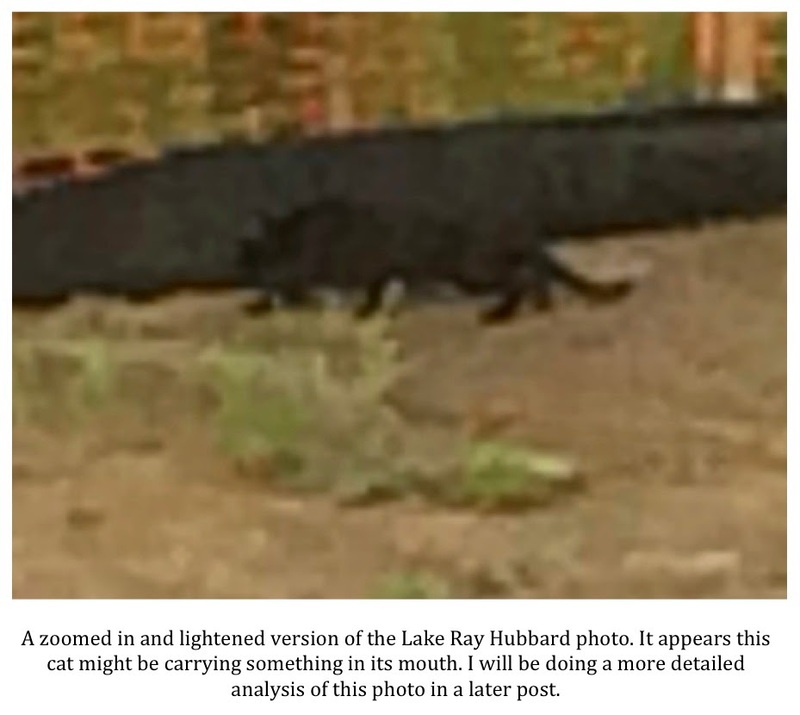 The long tail described eliminates a bobcat outright as a suspect in this case but there is another big cat that is a possibility in this case. The jaguar is native to Texas and individuals have been documented in southern Arizona and New Mexico. If jaguars are crossing into those states from Mexico, it is not too much of a stretch to think they could be crossing into Texas as well. If a few of those individuals are melanistic, then that could explain this, and many other, sightings near the southern border of Texas. “I live in Austonio, Tx. Late last summer we were out for a drive down a dirt road about 2 miles from our house. While looking out the passenger window I saw a large BLACK cougar sized animal jumping through the tall grass coming straight toward us. The grass was light in color and it really stood out. (not brown, but black.) It was about 60 yards away and moving fast. Every time it jumped I could see head and front paws, then when it landed only the tail could be seen as the grass was tall. The tail was quite long and held straight up. My brother has also spotted one about five miles away twice in a pasture. TCH Comment: Austonio is an unincorporated community, formerly known as Pearville, located in Houston County in east Texas not too far from Crockett. There is a long history of black panther stories from this part of the Lone Star State. These cats are often thought of as just another animal in the woods and nothing to get too excited about. It is only when the locals find out that “there is no such thing as a black panther” that they get worked up. The description of the cat bounding is interesting. I have seen videos of big cats moving in this manner. It is possible this cat was after a field mouse or rabbit. It is an interesting behavioral tidbit to be sure. 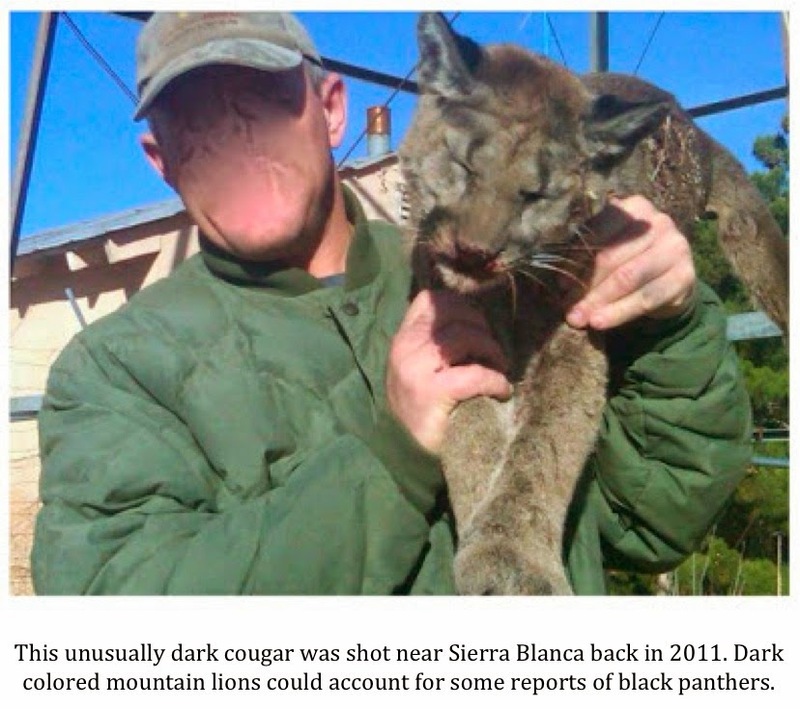 TCH Comment: This report obviously details the sighting of a normal tawny-colored cougar. I include it here for several reasons. First, J. Fredieu makes a point I have stressed many times in the past; mainly, there are thousands and thousands of acres of woods, bottomland, swamps and marshes in Texas where people seldom, if ever, go. Second, wildlife biologists will tell you that no breeding population of mountain lions live in southeast Texas but natives will tell you differently. In this regard, this sighting is not unlike those of large black cats. In this case, cougars are not supposed to exist (in this location), therefore, the witness must be mistaken, lying or saw an escaped pet. It is the same tired routine over and over again. Lastly, I included this report because it comes from the area where I grew up and I think it is cool. Sue me. TCH Comment: Flynn, TX is an unincorporated community in Leon County. This area sits right on the edge of where central Texas gives way to east Texas. The county is sparsely populated with just over 15,000 people living there as of the 2000 census. That works out to only 14 people per square mile. The area is very rural and has many heavily wooded areas in which a large cat could survive quite well. I have had several reports come out of this general vicinity including a report from a man who claims to have hit a large black cat with his car (click here for details). 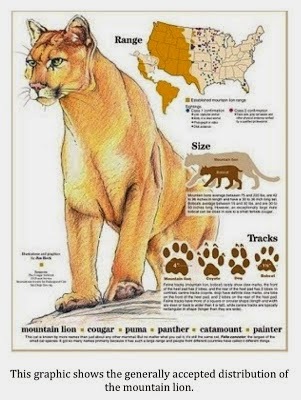 The description given is typical of a panther or cougar. The “woman screaming” sounds are classic cougar vocalizations. While it cannot be known if the animal making the screams is the same animal or type of cat seen previously, it would seem to indicate that the culprit is a mountain lion. Jaguars roar, cougars do not. It is one of the characteristics that prevents cougars from being thought of as a true big cat by science. I have followed up on several reports of livestock killings and feel at least some of them are attributable to a big cat of some kind. If these problems persist, I would ask this witness to contact me via email at Texascryptidhunter@yahoo.com so we can visit and maybe get some cameras set up. “Not sure how I ended up here, but I guess that's the internet for you. Interesting site, and some compelling arguments all around. I wanted to add my two cents. I grew up in Columbus, Texas in the 70's and 80's--I'm almost 40 now. Our neighborhood was situated less than 1500 feet from a bend in the Colorado River that ran along the east end of town. I remember hearing stories from various members of my family (all of whom lived in the area) to the effect that black panthers lived in the area--especially along the river bottoms. But one particular story stuck out to me, and I remember it to this day. A family who lived around the corner from us swore that one of them had seen a black panther more than once. Their house backed up to the river and was less than 1000 feet from the river (I just Google mapped it). They had a small shed on the south side of the house that stood only about 5 or six feet tall. One evening, they were rounding the (can't remember which member of the family it was, but I think it was two of them that saw it) corner to go to the backyard for something, and they saw this black panther laying down up on the angled roof of the shed. I can't for the life of me remember anything else about that story, but my mom and dad remember it and stories like it to this day. At the time, I was just a small boy, and thought these stories were completely isolated to Columbus. Stumbling upon this phenomenon today, it's fascinating to me to find that others have had the same experience. Though these disparate experiences lack the concreteness of hard evidence, it is very hard to believe that so many unconnected eyewitnesses could all be misidentifying these animals. I tend to favor hard evidence, but in the world of animal biology, there have simply been too many cases where the seemingly outlandish claims of indigenous peoples have been later validated by physical evidence. 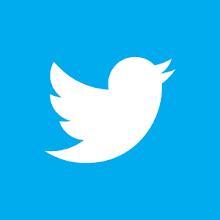 TCH Comment: I love this account and I will tell you why. It is absolutely typical of what you will hear from people who have lived all there lives, sometimes for generations, in the bottoms, woods or marshes of east and southeast Texas. This reader also brings up a great point about the importance of anecdotal evidence brought forth by those indigenous to a region when it comes to identifying new animal species. I recently posted this link to an article stressing the importance of anecdotal evidence and local knowledge on the Facebook page. Here is the link to that article again. TCH Comment: The area in question would seem to be an unlikely spot for an anomalous big cat sighting but it is anything but unusual. The area just north and east of the Dallas-Fort Worth Metroplex has been a hotbed for sightings of large, black cat for years. 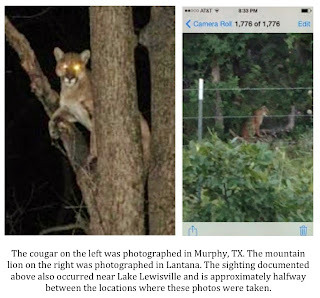 I have recently obtained photos of a cougar in Murphy, Texas, which is not too far to the southeast of this sighting, and the community of Lantana, which is not too far to the northwest of this location. As a matter of fact, the location of this sighting would be right at the halfway point of where these photos were taken. Lake Lewisville is just to the west of the sighting location and there are several large parks, preserves and green belts in the area. It is true that the Lantana and Murphy cats were clearly tawny-colored cougars and not black. Having said that, if one accepts the possibility that a large black cat of some kind may exist in Texas, it would likely have many of the same needs and requirements as a mountain lion. We have photographic evidence showing that cougars inhabit or pass through this area on a regular basis. If these large black cats exist, why could they not do the same? TCH Comment: Timpson is located in deep east Texas in Shelby County. The eastern boundary of the county, and the state, is the Sabine River. 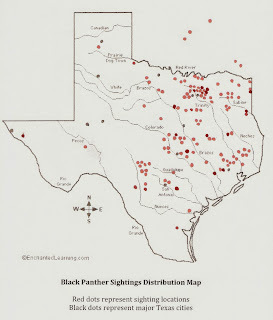 Reports of black panthers from the Piney Woods Region of Texas are not uncommon. 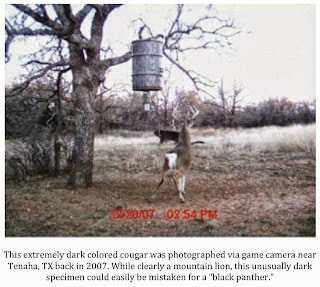 Interestingly, what has become a well-known game camera photo of an unusually dark-colored cougar stalking a buck at a feeder came from this very area. Maybe the coloring of the cougars in this area is a bit darker than normal? If the submitter of this report is reading this, I would love to get a look at your neighbor’s game camera photos. If they clearly show large black cats then they could be a game changer for wildlife biologists. TCH Comment: Another report from the Lewisville area. See what I mean about the area being a hotbed? The estimated size of 3 feet in length would be awfully big for a feral cat and the long tail eliminates a bobcat as the culprit. The description of the color as “medium to dark brown” does not sound like a cougar, though shades can vary. A jaguarundi is a possibility, I suppose, but the description of large hind legs and paws makes me wonder about that. I wonder, too, if this couple spotted a juvenile cat. The behavior described, jumping and bounding, could mean the cat was on the hunt or it could be a playful behavior. This is the second report that included a description of this behavior to come in to me over the last few months. Mrs. Scales, I would really like to take a look at your photos. You can attach them to an email and send them to me at Texascryptidhunter@yahoo.com. TCH Comment: The size of the cat in question here, along with the lack of spots, limits the list of suspects. My best guess would be a large domestic/feral cat or a jaguarundi. Some would suspect a young mountain lion but cougar cubs are quite strikingly marked. These markings would be difficult to miss so I doubt that is what was seen in this case. 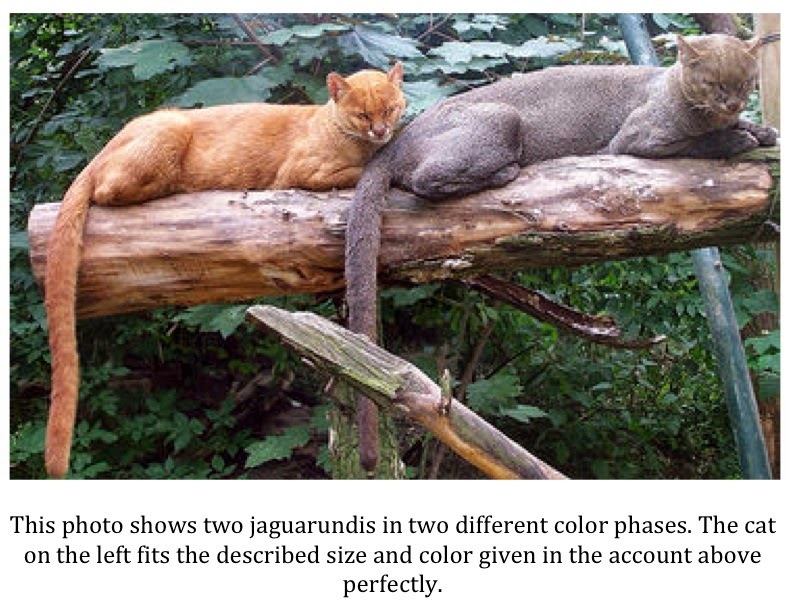 The jaguarundi goes through a color phase very similar to what this witness describes. The jaguarundi usually stands 10-14 inches high at the shoulder and measures anywhere from 30-60 inches from the nose to the tip of the tail. The 25 lb. cat described would be on the heavy side for a jaguarundi but not outlandishly so. Jaguarundi are not thought to live so far north but anecdotal evidence suggests that it is possible. TCH Comment: Cass County sits in the extreme northeast corner of the Lone Star State. This area is heavily wooded, sparsely populated and has a history of black panther reports. 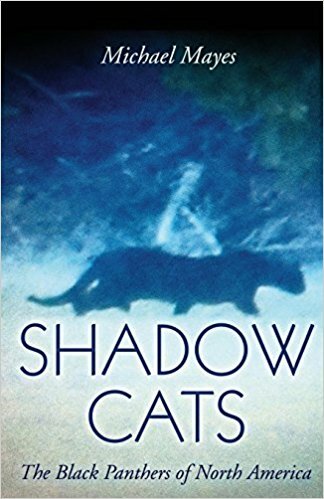 This account is another very matter-of-fact declaration from a witness saying these enigmatic black cats exist and that he has seen them. I get the feeling he does not care much if anyone else believes him or not. This is an attitude common to many folks living in the woods, bottoms and/or marshes of east Texas when it comes to these cats. TCH Comment: Once again, we find ourselves just northeast of Dallas. This report is great because it includes a photograph to back up the claim. I am not quite sure what to make of the photo. The cat does not seem to be very tall at the shoulder but is in a crouched posture. The cat does seem to be longer than what would normally be seen in a domestic. I will be attempting to do some analysis to get some ballpark estimates on size soon and will post those results in a later post. In the meantime, I have zoomed in and slightly lightened up the original photo. It almost looks like this cat is carrying something in its mouth. Could it be a cub/kitten? 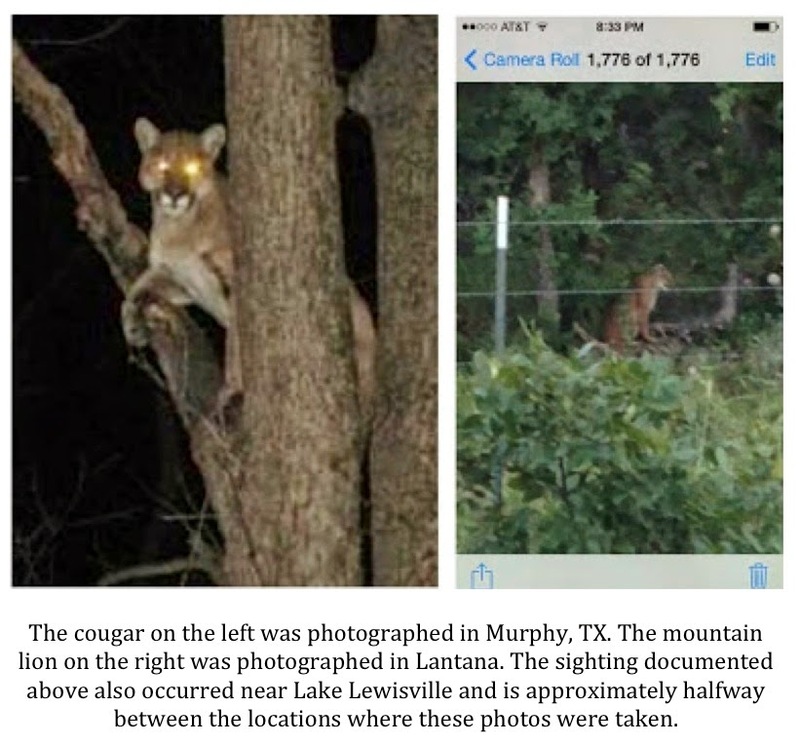 TCH Comment: I live in the Fort Hood area and know exactly where these sightings took place. It is not the first time that I have heard of unusual animals being seen in this area. Fort Hood is the largest military base in the free world encompassing 340 square miles of central Texas. The military needed the wide-open spaces to test and train with World War II era tanks and tank destroyers. The base still has miles upon miles of wilderness and unpopulated areas that are used to train troops and for firing ranges. It would be suitable habitat for a large cat as deer and hogs are everywhere. I talked to Tina and wanted to come out on site to have a look but the increased security on the base prevented me from doing so. She has promised to keep an eye out and a camera handy from this point on and to let me know if any other sightings occur. TCH Comment: Red flags everywhere on this one. The witness claims it was 11:45 at night when they saw the cat at a distance of over 100 yards. He says he could discern “fist-sized spots” slightly lighter than the rest of the cat’s coat. Yet, in the next few sentences, the witness said, “I could not tell what color it was because there was a bit of haze in the air.” Also, the witness says he lit the cat up with a flashlight, which allowed he and his friend to see the spotted coat but follows later with “the flashlight seemed to reflect back the gray haze in the air.” The witness indicates they saw the cat and watched it stand up before walking toward his neighbor’s property. Earlier, he said the cat was “laying inside the line of trees just past a freshly cut pasture.” How did he see a melanistic cat well enough to discern spots from over 100 yards away at 11:45 on a hazy/foggy night? I would like to buy into this one but just cannot do so right now. Maybe there are reasonable explanations for these contradictions but until I hear them, I have to assume this report is invalid. This report will not be added to my black panther distribution map. I include it here simply to show that I do critically examine reports as they come in and do not believe everything I hear. “We have a ranch located between Hwy 79 and OSR, just east of Franklin, TX. We have seen many bobcats, cougars and black jaguars. Have pics of footprints, but not of cats. One large cat attacked a cow and tore up her hind side, shredded her tail leaving huge slashes on both back hips, inside and outside back legs. Found her 600 pound calf carcass weeks later in a tree. TCH Comment: Franklin is found in the Brazos River Valley not too far from the Bryan-College Station metropolitan area. It is very rural and agriculture is the dominant industry here. There is plenty of cover and room for a big cat of some kind to roam. I would be very interested to see the photos of tracks and would especially like to see any pictures of the carcass you found in a tree. If accurate, that would get the attention of some wildlife biologists, I’m sure. It is interesting because cougars tend to cache their kills on the ground and cover them. Jaguars are thought by many to drag their prey up into a tree but that is actually rarely the case. Of the known big cats, only leopards, native to Africa and Asia, tend to cache their kills in trees. The reason they do so is to keep the kill away from lions, hyenas and other predators that are either stronger than they are or come in larger numbers. I cannot imagine a need to cache a kill in a tree here in Texas (Also, it is difficult for me to believe that a leopard could drag a 600 lb. calf up a tree. They are big cats but not that big). 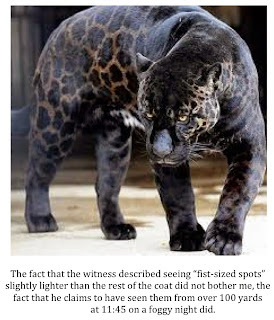 I suppose the behavior could be instinctual but it would mean a melanistic leopard was on the loose in the Brazos Valley, something I believe to be highly unlikely. As you can see, I’m having some problems with this report. I am withholding judgment in the hopes that the submitter will send me those photos. I will gladly apologize for my doubts if the photos prove me wrong. Please send them in to Texascryptidhunter@yahoo.com. As of now, though, I have too many reservations about this report to include this sighting on my updated black panther distribution map. I include it here simply to show that I do critically examine reports as they come in and do not believe everything I hear. As I wrap up this post, once again I am faced with what to do with this “black panther” dilemma. Do I simply accept the opinion of mainstream science and conclude that there is no such animal. If so, I must assign witnesses who have claimed sightings of these ghost cats to one of three categories: liar, crazy or mistaken. I just cannot do that. This dilemma is not unlike that which investigators of the wood ape/sasquatch phenomenon face. Is everyone lying? Is everyone mistaken or nuts? I find that idea more difficult to believe than the possibility there is a biological entity out there that is responsible for many of these sightings. 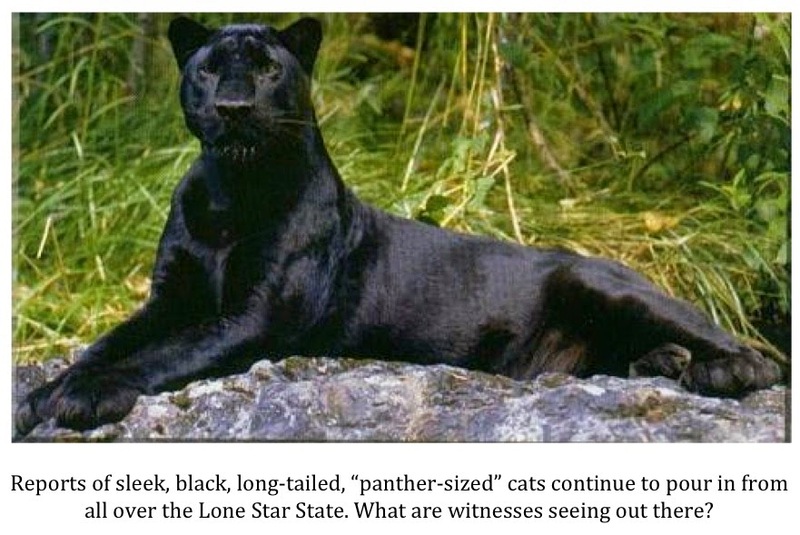 Are some sightings of large, black cats in Texas and the Deep South simply cases of mistaken identity? I have no doubt that is the case. Having said that, the sheer volume of sighting reports indicates to me that there is something more here than just myth and folklore. 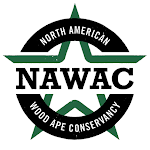 I was contacted by a good friend and fellow NAWAC member today regarding a big cat sighting in Collin County, Texas. The story is short and sweet but very interesting. My friend was visiting a Metroplex Cabela’s store when he overheard a man discussing a cougar sighting in Murphy, Texas this past week. Murphy is just east of Plano, a large Dallas suburb, and completely urban. To say my friend, a native of Plano, was surprised would be an understatement. My friend approached the man, told him he could not help but overhear the cougar story, and asked him if it was possible he had mistaken a bobcat for a cougar. This has happened on multiple occasions in the Dallas-Fort Worth area of late. One local news station did a story on a mountain lion loose in the area and even broadcast photographic “proof” in the form of a video. The problem was the video clearly showed a bobcat. It turns out this was no bobcat. To his credit, this gentleman did not get offended by being questioned by a stranger. Instead, he got out his phone and showed my friend a photo he had taken of the big cat. As you can see, this is clearly a mountain lion. This sighting comes on the heels of another legitimate mountain lion sighting in the area. Back in June, a cougar was seen near Lantana, Texas, a bedroom community just south of Denton. Lantana is roughly 40 miles northwest of Murphy. There is no obvious connection between the two towns. There is no creek or river running through or near both cities that might provide a travel route for a big cat. There is, however, a railroad track that runs through Copper Canyon, just northeast of Lantana, to the southeast. The tracks run in a southeasterly direction, skirting the southern end of Lake Lewisville, and into the outskirts of Plano. There, a railroad intersection is located and another set of tracks runs eastward directly through Murphy. Could this cat be using the railroad tracks as a travel route? It is no secret that wildlife will use manmade right of ways as travel routes. Power line cuts, pipeline senderos, improved hiking trails and old fire and logging roads are all used by wildlife to travel. The reason is simple. Calories are hard to come by in the wild and burning them indiscriminately is not an option. That being the case, wildlife will follow the path of least resistance whenever possible. Railroad tracks are no exception. Like the other aforementioned routes, railroad tracks often run for miles in sparsely populated areas and are, more often than not, paralleled by thick brush on both sides. It is true these tracks eventually run into urban centers but, even then, railroad yards and routes often are found on the outskirts of town or in largely commercial areas where, once night falls, traveling unseen would not be too difficult. 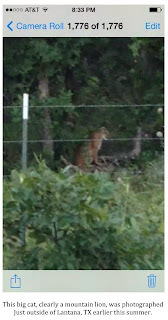 I don’t know if the mountain lion seen in Lantana is the same cat that was spotted in Murphy. It is impossible to say for sure but I don’t think it is impossible. Either way, the suburbs of the Metroplex, the Plano area in particular, remain a hotbed for big cat sightings. Both tawny-colored cougars and large black cats, most often described by witnesses as black panthers, are being seen on a regular basis. While surprising to most, this phenomenon fits a pet theory of mine that mountain lions, like coyotes, have figured out how to live in close proximity to people. Certainly, bobcats are seen all the time in urban areas. If they can figure it out, why would it be impossible for their cougar cousins to do so? 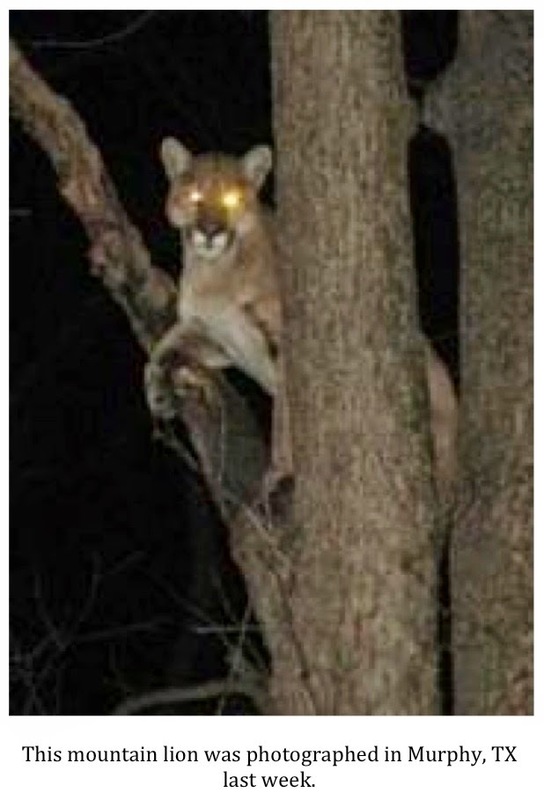 Certainly, an urban setting is not ideal habitat for a big cat such as a mountain lion. Man, however, continues to encroach upon the habitat of these predators and survival may dictate that they pass through and spend time in such urban areas at least occasionally. What is indisputable is that mountain lion numbers are increasing and they are beginning to show up in parts of their historical range that have not seen these magnificent cats for a century or more. Keep your eyes open, folks, and your cameras handy. Even if you live in an urban area, Mother Nature may have a surprise for you.